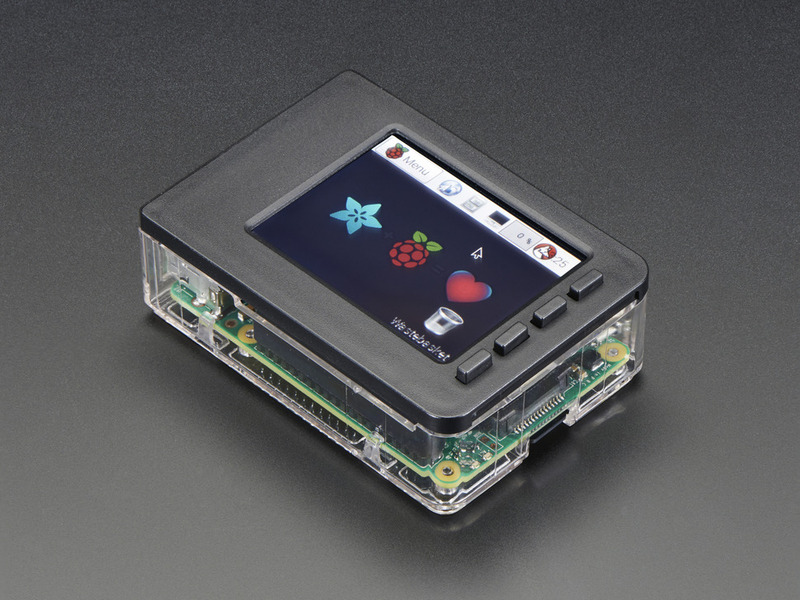 Complete your Pi setup with our custom designed faceplate specifically designed to fit your 2.8″ PiTFT and Adafruit Pi B+ / Pi 2 case base! 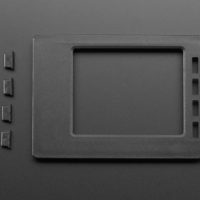 This Faceplate and Buttons Pack is a simple way to enclose your 2.8″ PiTFT and Pi safely and in style. 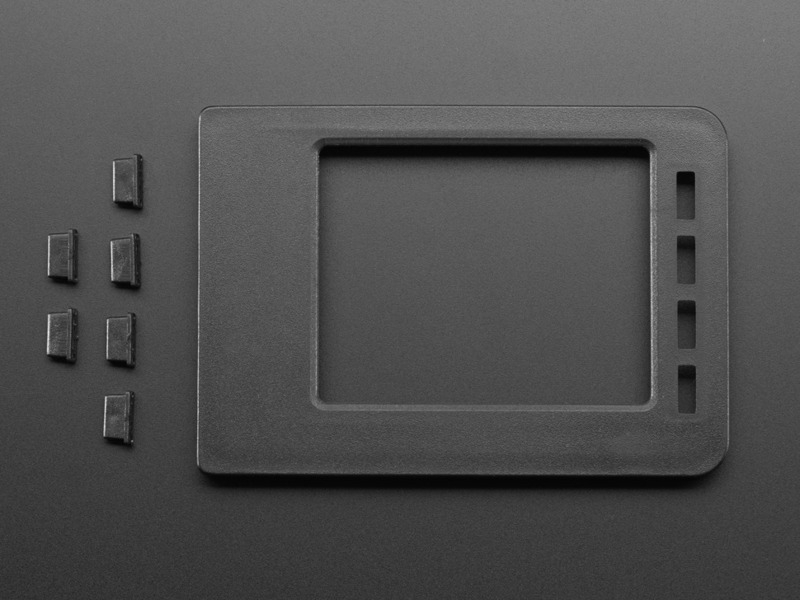 The faceplate replaces the normal ‘top’ of an Adafruit Pi case, with a sleek black bezel and button pads. 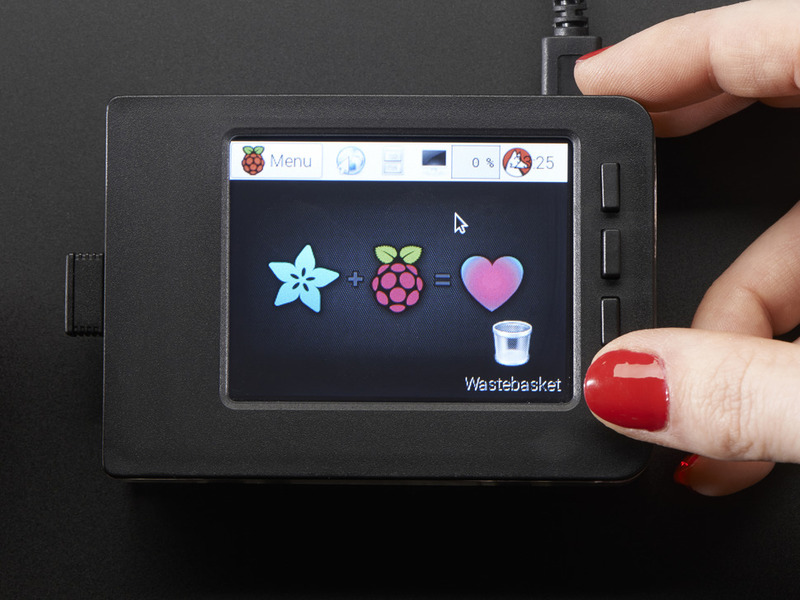 This pack works with the Raspberry Pi Model B+ / Pi 2 / Pi 3, and 2.8″ PiTFT Plus only! It will fit both the Resistive and theCapacitive screens.We also have a PiTFT Faceplate and Buttons Pack for the Raspberry Pi A+ and 2.4″ PiTFT if you would like to make an even cuter setup. You’ll also need to get a “base” that this snaps into.